The June fishery continues to be the most overlooked month of the season for us in northern Haida Gwaii. For most families it tends to be a very busy time of year as school is wrapping up and everyone is getting ready for the summer slow down through July and August when most people tend to take their holidays. 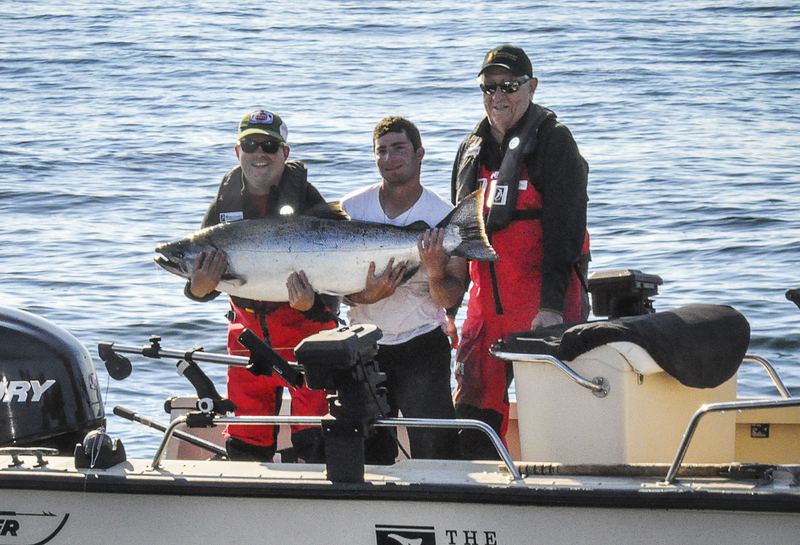 What you are missing out on during this time frame are some of the biggest runs of Salmon that we see on the northern coast all season long and great numbers of Tyees. For over a decade now, catch data compiled as far back as 1997, has proven that Salmon have been returning much earlier than they did a generation ago and in vast numbers during these early season runs. June gives you an opportunity to experience the perfect fishing trip. Lots of volume in the 16 to 25 pound range, a very good chance at that trophy Tyee we all dream of and of course exceptional bottom fishing. Many people also argue that the Salmon fight harder and way out of their weight class at this time of year as they are fresh out of their equivalent of an athlete’s training camp and in peak condition. One thing that is important to point out about June, especially for larger corporate groups, is that it can be a much easier time to coordinate everyone’s schedules. In June it tends to be simpler to find a time when your guests can escape before July and August, which are busy for most people with other commitments. With the season just around the corner we still have some great June trips available with certain dates having special pricing. So if you are looking to experience one of the best times of the season at a phenomenal rate look no further. Pick up the phone and call us today at 1-888-432-6666 or click here to make a reservation online. *Also don’t forget to check out our NEW photo album, “The best of June” on The Hub! Click here to check it out.